Dr. Laurence C. Breiterman announces the availability of professional teeth whitening to New Jersey patients who want whiter teeth without the inconsistencies and negative side effects that often come with over-the-counter products. Visiting a cosmetic dentist gives patients different options as well as stronger treatment and faster results. 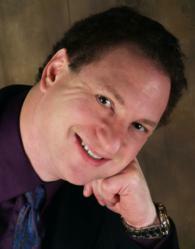 Dr. Laurence C. Breiterman Brings Teeth Whitening To New Jersey Patients. Laurence C. Breiterman, D.M.D., M.A.G.D., with Advanced Dental Techniques now offers fast and effective methods for teeth whitening. There are now many products available at the local pharmacy or online that can help to whiten teeth, however, the fastest and most effective methods are those done professionally by a dentist. There are a number of differences between products that can be purchased in stores and the teeth whitening solutions offered in the office of a dentist. The biggest difference is usually the strength of the agent used to lighten or bleach the teeth. Products used by professionals generally contain carbamide peroxide, a bleaching agent, with a strength ranging between 15 percent and 43 percent. Most readily obtainable over-the-counter products contain somewhere between 10 percent and 22 percent of the agent they use for lightening teeth. Another difference is the fact that the dentist can help to control or reduce the problems that many people have with sensitivity to bleaching agents. When a person purchases over-the-counter products, they don't have the help they might require if their teeth become sensitive. In addition, the non-customized trays purchased with these types of products lend themselves to a less than even result, because they do not allow the bleaching agent to contact the teeth properly. The customized trays one can get at the dentist's office will allow the agent to evenly contact the teeth for a more aesthetically pleasing result. In-office procedures provide the fastest method for teeth whitening. With one or more visits to the office that last from 30 to 60 minutes each, a bleaching agent will be applied to the teeth and cured with a laser for noticeable results. Information about in-office or tray-based take-home whitening treatments can be found at http://www.newjerseygumsurgery.com.